When you think of CHI, it’s likely their iconic hair straighteners come to mind. Because of this, you shouldn’t be surprised that they also sell a heat-proofing spray. Enriched with vitamins and proteins to add moisture back into the hair, it keeps your mane looking so healthy, no one will know you’re addicted to your flat iron. The CHI Keratin Shampoo and Conditioner strengthen without drying. Keratin shampoos, treatments, and hair products get a lot of attention for their strengthening powers. But “keratin” is often used as a buzz word that means little more than “protein.” It gives hair and nails their strength, so in theory, the more keratin you have in your hair, the stronger your hair should be. But in reality, too much keratin can cause your hair to become brittle and actually break. So keeping a good keratin balance is key—this is where the CHI Keratin Shampoo and Keratin Conditioner come into the picture. If you’re not coloring your hair, sunbathing, using a hair dryer daily, or spending way too much time with a flat iron, chances are your hair is pretty keratin balanced. But if you’re like so many people who find themselves getting regular highlights, spending as much time in the sun as they can, or using hot tools more than 3 times a week; chances are your hair might need a boost. Think of the bits of keratin as the links that make up the chain of your hair. When keratin is missing from a strand of hair, it becomes weaker and eventually breaks. This leads to brittle hair and split ends. And no matter how many trims you get to take off the dead ends of your hair, the foundation of healthy hair really starts at this molecular level. The CHI Keratin Shampoo and Conditioner work to give hair the keratin it’s missing without drying the hair thanks to jojoba and argan oils, which are effective conditioning agents that help to hydrate the hair. The feel of the shampoo is rich—it’s obvious right away that you’re not going to need a lot of shampoo to get the job done. The product lathers up easily and rinses out, leaving your hair sufficiently clean without feeling dried out. And the best part? It smells amazing. The conditioner is very thick, and distributes very nicely through the hair, untangling and softening the hair right away. While it can be a little heavy for super fine hair, but that’s easily managed by using less product, keeping the conditioner off of the scalp, and rinsing very well. The conditioner leaves the hair feeling very soft and easy to comb, but without feeling weighed down or greasy. For heavily damaged hair, use this conditioner as a conditioning mask during your conditioning routine, leaving it on the hair for 30 minutes before rinsing for a deep conditioning effect. Over time, hair will grow longer thanks to the strength added from the keratin. It might even feel like it’s growing faster, but in reality, this is thanks to the lack of breakage. The CHI Keratin line also has an excellent Keratin Leave-in Conditioner and a line of Keratin Silk Infusion products. If you are really battling damaged hair these two products are must-try products for post-shower. THESE KERATIN SHAMPOOS ARE LIKE A LIFE RAFT FOR DAMAGED HAIR – To be honest, we kind of put our hair through hell. You know, straighteners, curling irons, and color treatments? We’re guilty of it all! If yours is starting to show the effects, like dryness and brittleness, then it might be time to bring in a shampoo that’s enriched with keratin — the same protein that our strands are made of. Add any of these bottles to your shower routine and you’ll start to see healthy hair that’s sleeker, shinier, and stronger. Are your strands starting to look stressed-out? This CHI shampoo combines keratin, jojoba, argan oil, and Keratrix technology to make hair soft and shiny again, and prevent future breakage. I have been getting some different questions about my hair regarding styling, the styling tools I use, and the types of products I use so I wanted to share a more detailed post about my everyday hair products that I love! Each product is linked to purchase below. Ever since I first started straightening my hair, I used a Chi straightener and haven’t switched to anything else since which was about 10 years ago. I am a big fan of this brand and specifically this straightener for a few reasons. First, it makes your hair smooth! On this specific tool, the iron plates on the inside are made and sourced from volcanic lava and other heat conducting resources that are actually found from the earth which creates a smoothness on the iron plates. I first used just a normal Chi straightener but ever since I started using the lava straightener, I can really tell a difference in the smoothness and sleekness of my hair when straightening it. Another reason I love this tool is how versatile it is. I actually do not use a curling iron on my hair ever. I have always curled my hair with a straightener because I like more wavy and lightweight curls and honestly I find it easier to curl my hair with a straightener compared to a normal curling iron as ironic as that sounds😆. If you’re thinking about maybe switching up your styling routine or styling tools, then I highly recommend this straightener! Introducing the new CHI LAVA Volcanic Lava Ceramic Hair Dryer – volcanic and ceramic minerals embedded into the honeycomb heater reduce drying time and frizz leaving smooth, shiny hair. VOLCANIC CERAMIC – Derived from lava rocks, volcanic ceramic provides consistent heat during styling allowing for styling at lower temperatures. CHI CERAMIC – CHI’s signature ceramic creates smooth looks by leaving hair frizz-free with reflective shine. It offers consistently heated plates producing smooth results on all hair types. VOLCANIC LAVA – Volcanic powders derived from lava rocks offer durability while acting as a heat conductor. Truth be told, I don’t remember the first time someone recommended a CHI flat iron to me. I’ve heard so many good things about the brand over the years though and know it’s top choice for many of my friends, so you can imagine my excitement when they offered to send over a sample of their new collection with JCPenny. I’ve used the same hair straightener since high school, so I was eager to give this colorful tool a shot. Keep reading to find out if this JCPenny exclusive CHI flat iron really is worth the hype, and if I think you should invest in this new line or save your hard earned cash for a better release. 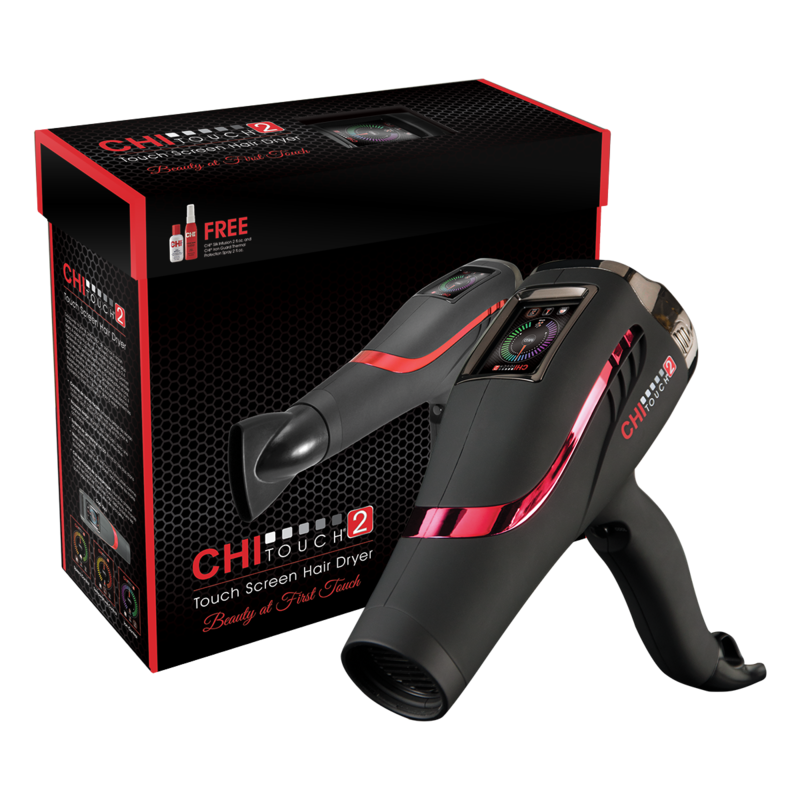 As of the time I’ll be publishing this post, you can snag the CHI Paint Party 1″ Flat Iron on sale for only $89.99. This includes not only the pretty, colorful ceramic CHI flat iron but also a cute gold fanny pack. If you’re hitting up festival season or just need a convenient place to store your valuables this summer, it’s a cool bonus. For a flat iron, I think this a great deal. It’s a reasonable price point, but you should still be able to get good use out of the product for a long time. The box claims that this hair straightener is able to heat up in 30 seconds. Honestly, I found it to take even less time than that! It’s a pain waiting for styling tools to warm, especially if you’re someone who gets ready last minute like me. I love that this CHI flat iron heats up insanely fast, making easy to get my hair done and run out the door in no time. One of the things that I think is really neat about this CHI hair straightener is that it has six different settings, with the ability to heat up to a maximum of 410 degrees Fahrenheit. Not everybody has thin, easy-to-style hair like me, so it’s nice that this flat iron should be able to accommodate a variety of different hair textures and thicknesses. A random thing I appreciated about this 1″ flat iron was the fact that it has an 11 ft. cord. Talk about convenient, right? Filming was incredibly easy with this tool, but I could also see this feature being helpful for someone who travels as sometimes outlets aren’t always located in the best spots — especially if there’s multiple people trying to get ready in the same hotel room! If you’re shopping for a new hair straightener, I love that there are six different patterns of this specific 1″ CHI flat iron at JCPenny to choose from. They’re all bright, colorful, and perfect for spring! In all honestly, I had zero qualms about this CHI hair straightener. The product worked better than I even imagined, and it made stying my hair even quicker than usual due to the super fast heat up time. I don’t think you can get any better than this for this price point, and I would absolutely recommend this flat iron if you’re in the market for a new hair straightener. 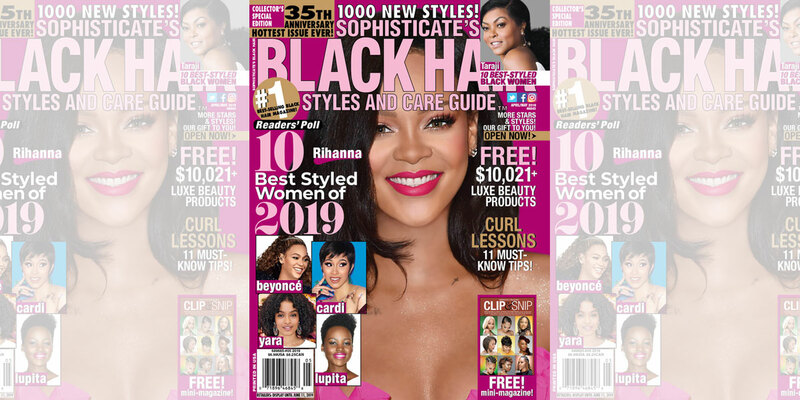 The CHI Spin N Curl recently earned high praise and a 2019 Beauty Awards honor from Girls’ Life, the #1 magazine and media source for teen girls. Create flawless curls and waves at the push of a button with the CHI Spin n Curl. Hair is drawn into the curl chamber where it is heated and timed to create perfect curls and waves every time! The digital temperature display offers easily adjustable temperature settings and a selection of preset temperature settings for each hair texture, creating a customizable styling experience while avoiding unnecessary heat damage. Our editors are constantly testing and trying all sorts of products. In our ongoing weekly series ‘Best Obsessed’ we share with you the products our editors are currently in love with … and that’s saying a lot! Whether it’s a temperature-controlled coffee mug or a portable projector the size of a soda can, these are the products our staff can’t live without. So, what can a tea tree oil shampoo do that a normal shampoo can’t? Apparently, a lot! It was first introduced to the Western world by researchers in the 1920s, and has been helping heads of hair ever since. Whether you struggle with irritation, flaking, excess oil, or just need a deeper clean, these shampoos can help. A quick note: You don’t have to give up your go-to shampoo, but switching over to one of these every so often can get rid of impurities and get your scalp back in balance! Get ready for a refreshing, tingling sensation with this shampoo that’s packed with tea tree oil and peppermint. It rinses out impurities, cleanses oily hair, and helps with any scalp irritation. CHI has an entire tea tree product line if you can’t get enough! If you’re lucky, it’s rare that you run into an epic beauty dilemma on a daily basis. There are a select few whose lives are not marred by heat damage, an unintentionally shiny forehead, or smudged liner on a first date. But if you can’t bumble through your day without smearing your lipstick or breaking a nail, you might find yourself constantly on the hunt for genius products that solve my beauty dilemmas. And luckily, Amazon is a one-stop-shop for these exact kinds of products. The best part about shopping for beauty on Amazon is how many products pop up that you’d never have considered (or been able to find) before, but could never live without again. Whether it’s Q-tips preloaded with makeup remover or a tooth whitening pen that removes coffee stains before your big morning meeting, many of these brilliant finds solve day-to-day problems that you didn’t think had a solution. With these products in your bag, rushed mornings, hectic travel schedules, and last-minute plans are about to become so much less stressful. So if you’re in the market for a why-didn’t-I-think-of-that beauty product, click on. Your next favorite genius beauty buy is waiting for you on Amazon. Whether you blow dry, straighten, or curl your hair, the hot tool you use is likely wreaking havoc on your strands. That’s why you need the CHI Iron Guard Thermal Protection Spray. It protects your delicate hair from heat damage while also being lightweight, so it won’t feel heavy or greasy. Use it every time you style with a hot tool for maximum results. It’s easy to get frustrated when you’re packing a carry-on bag, especially if you’re flying with an airline that makes you pay extra for checked luggage. Airport security rules can also be hard to keep up with, although you’d be surprised by the wide variety of items you can bring on a plane, from fresh eggs to waffle irons. Summers said she’s a huge fan of “day-two hair” — hair the day after you wash it — since it takes less time to style. Dry shampoo can freshen up and add volume to second-day hair. Summers’ “go-to” when she travels is CHI Luxury’s Black Seed Oil dry shampoo. However, if you’re flying within or out of the US, make sure your dry shampoo bottle contains 3.4 ounces of liquid or less. Currently, the Transportation Security Administration (TSA) allows passengers to bring only one quart-sized, resealable bag of liquids, aerosols, gels, creams, and pastes — each of which must be in 3.4-ounce or smaller containers — in their carry-on bag.